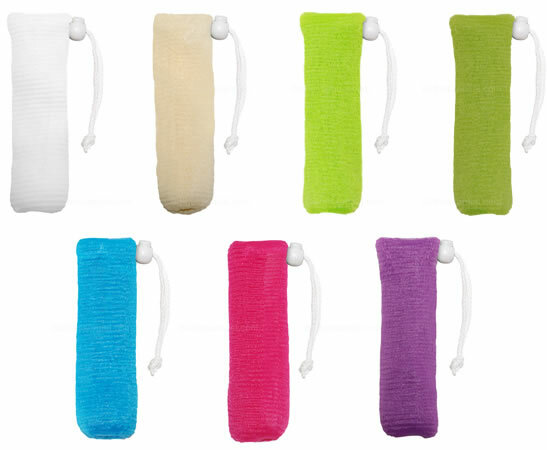 High quality full size soap saver mesh pouch with string. White, Blue, Hot Pink, Blue, Dark Green, wholesale. About 6.5 in long. wholesale bulk pack. Order $100 total to qualify for free shipping.